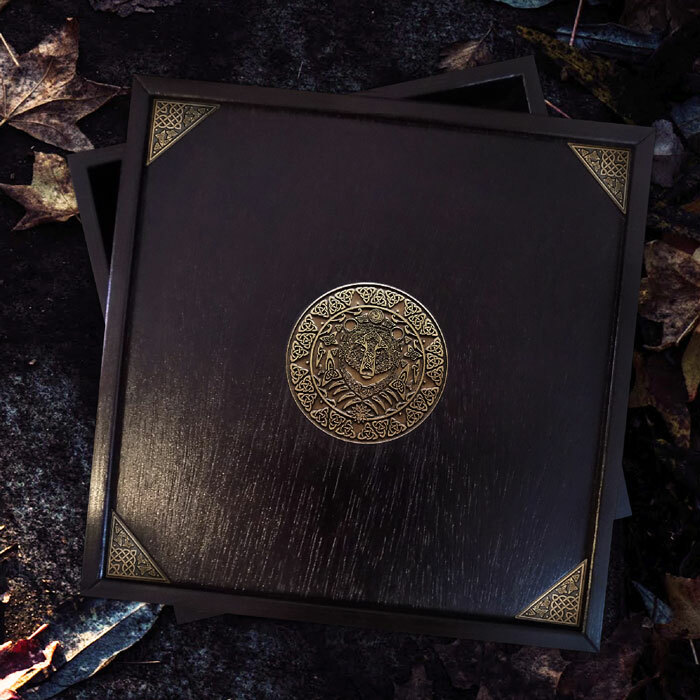 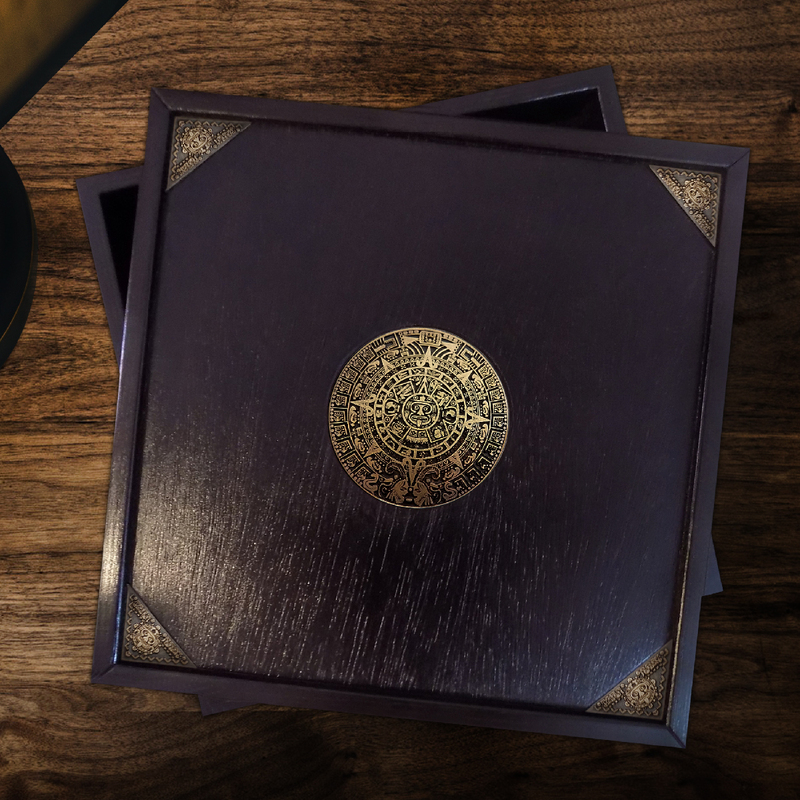 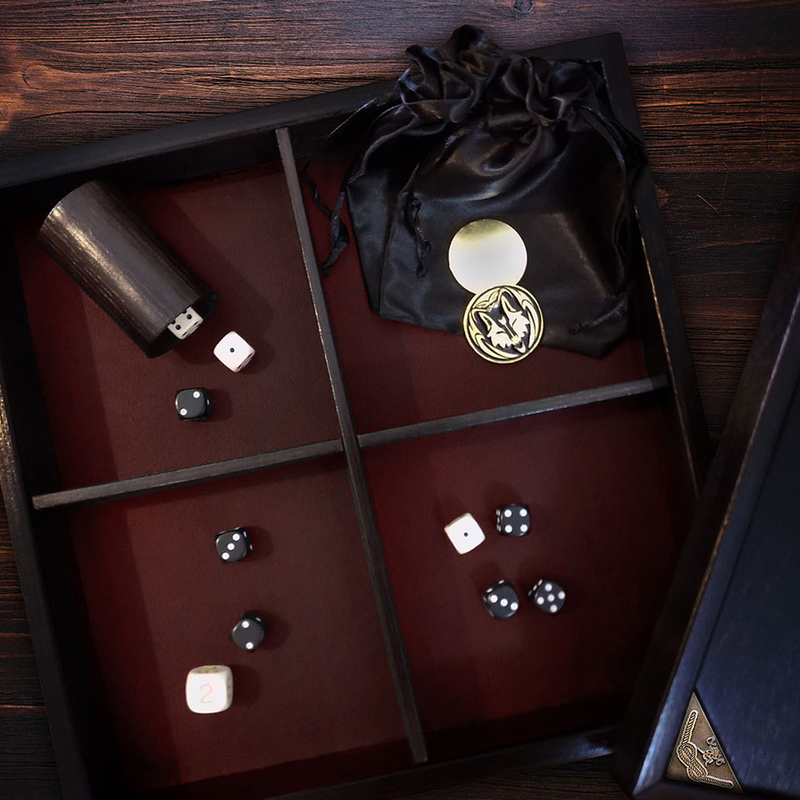 Every masterwork piece in this premium Dice Accessory Collection is designed specifically for the tabletop gamer - it acts as a dice box as well as a rolling tray. 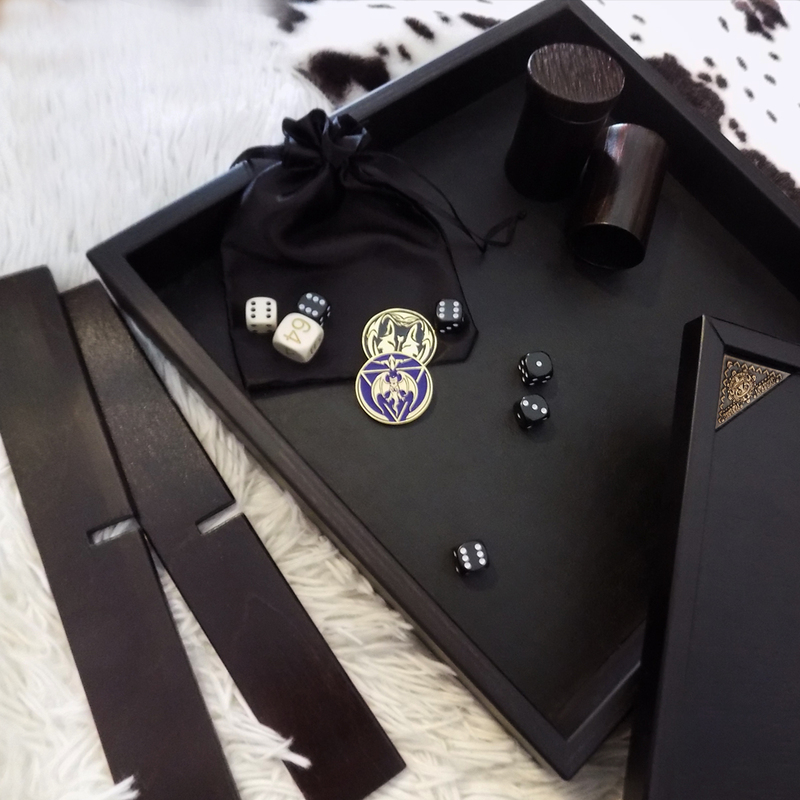 As a rolling tray gives your dice plenty of room to bounce off of the sides and stay confined to the box, keeping your dice safely on the table and in control. 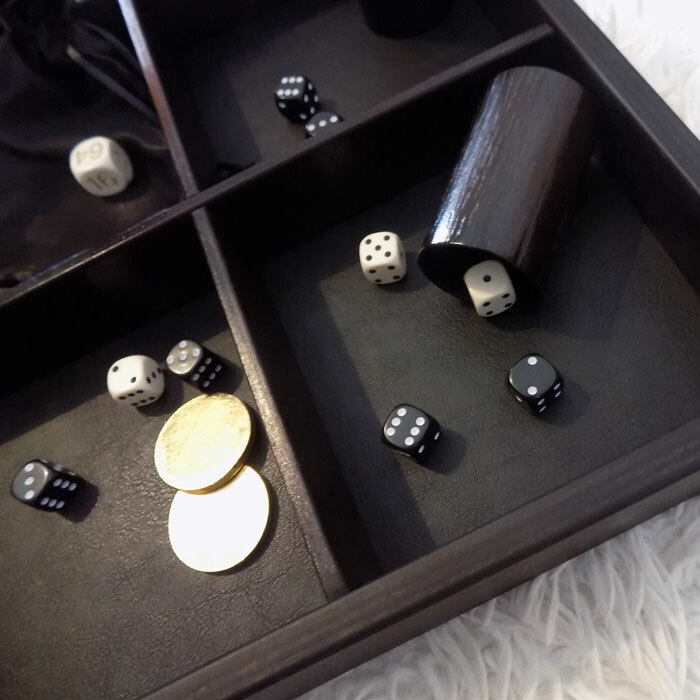 As a dice box and by using the removable wooden divider allows you to reconfigure the tray from one compartment to four. 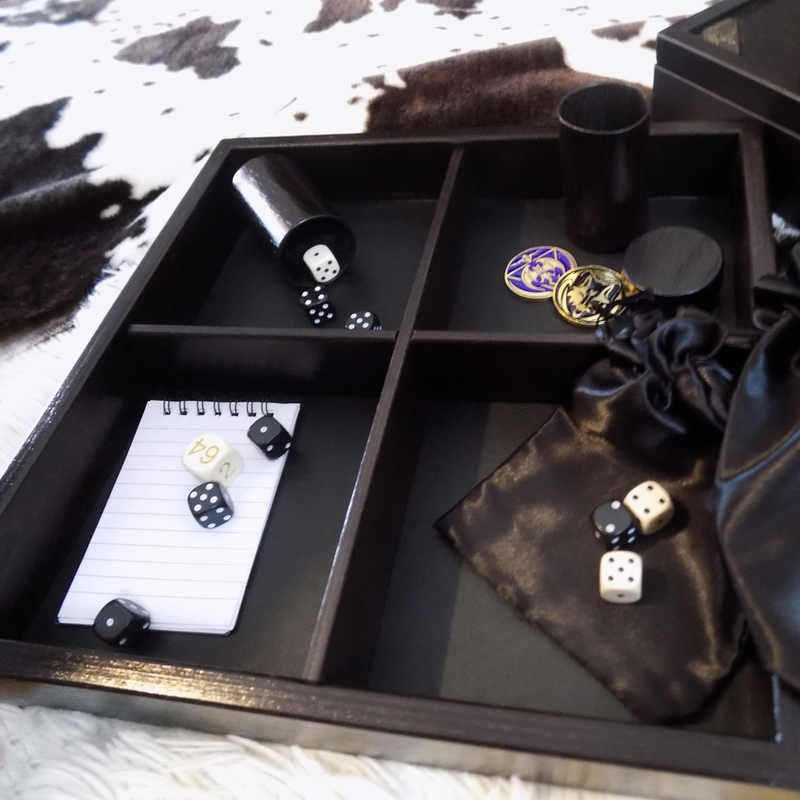 Also, the lid that closes to the top of the tray allows easy transport or storage your dice, pens, miniatures, or other small gaming accessories. 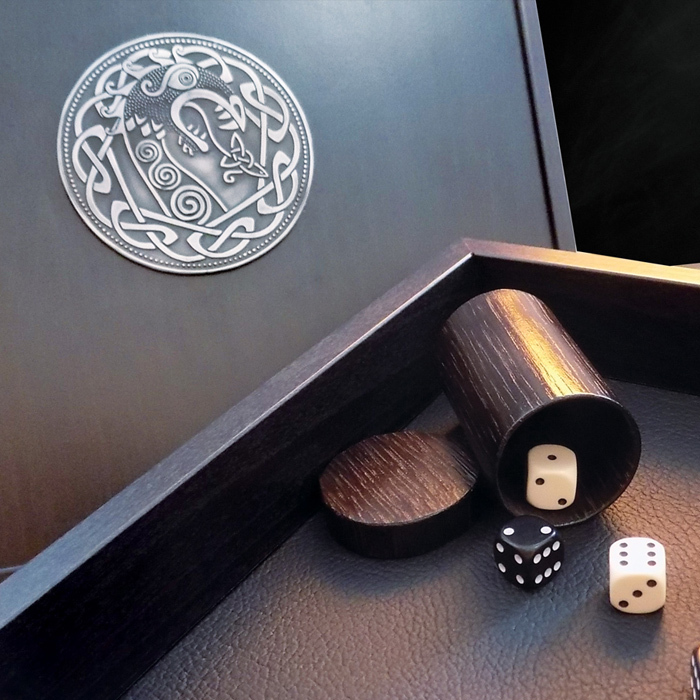 We put these amazing large wooden dice boxes through multiple design revsions in order to find the perfect balance between size and usage. 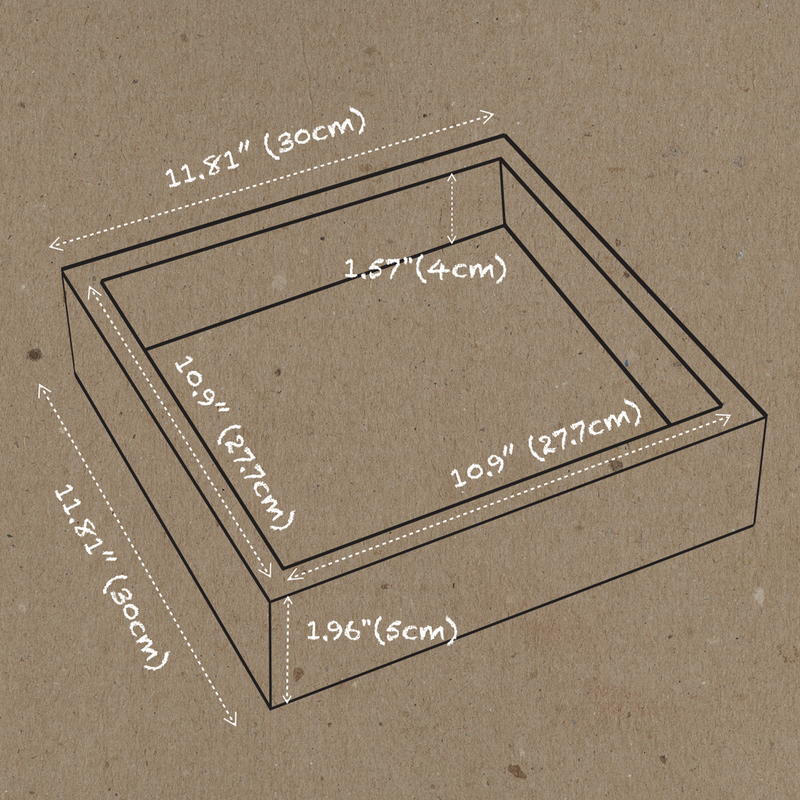 A stable and ergonomic wooden divider (cross) can easily organize your gaming materials inside the box and can be easily removed. 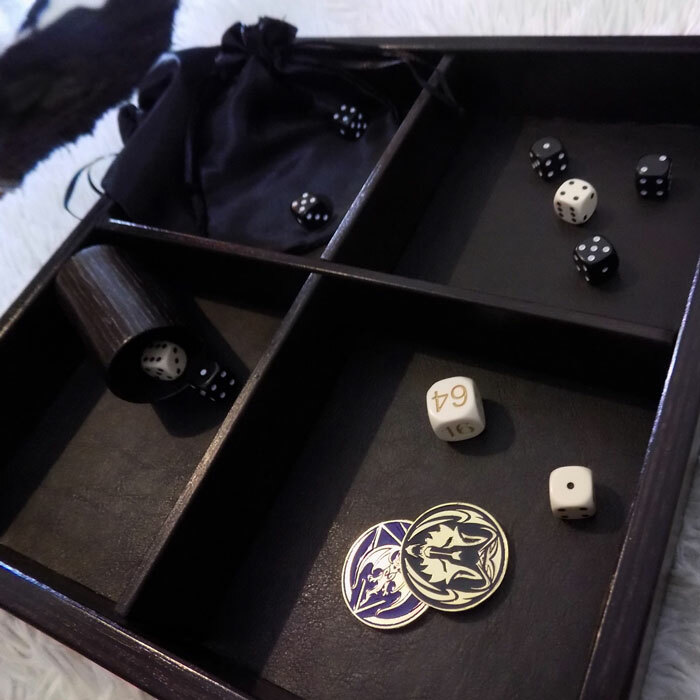 The depth of the tray (1.57") will keep your dice collected when rolling as well as allow you to see and pick them up easily. 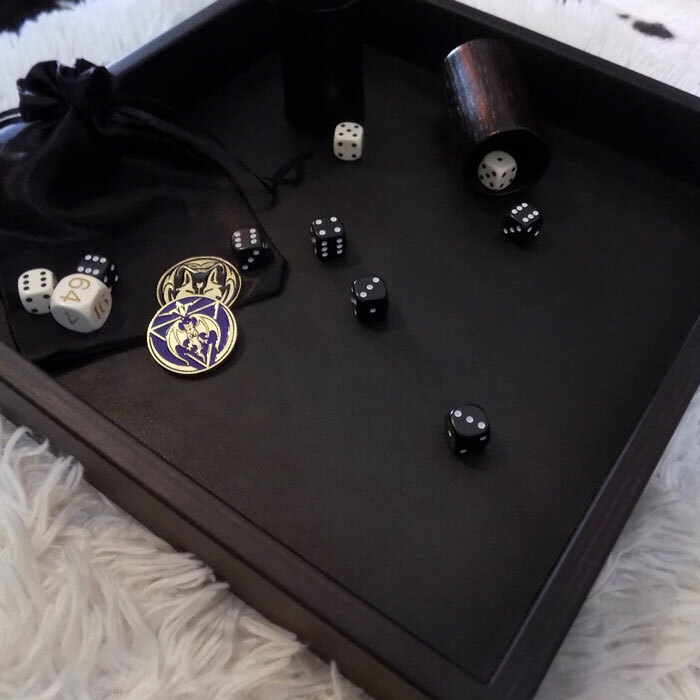 Giving your dice plenty of room to bounce off of the sides and stay confined to the box, keeping them from rolling off of your game table or knocking your minis and other gaming materials. 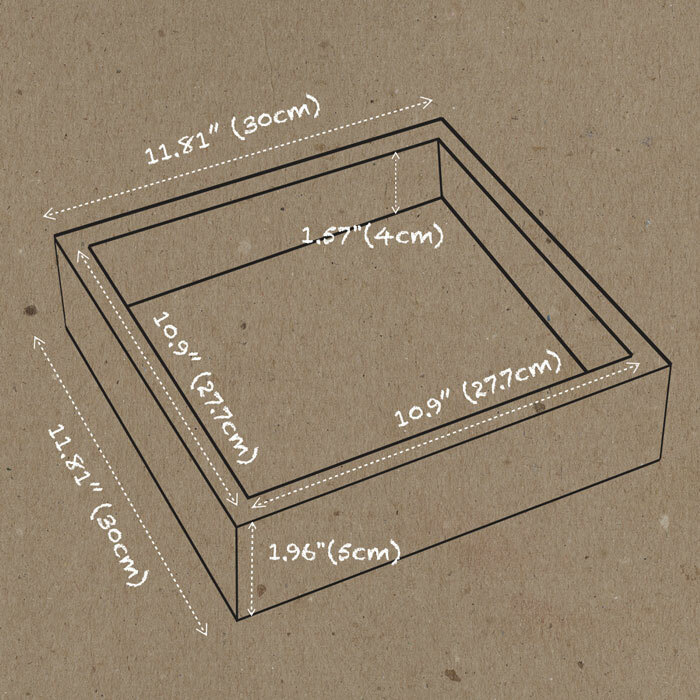 All boxes are handmade from high-quality wood, with absolute precision, resulting in a strong, stable and warp-resistant construction. 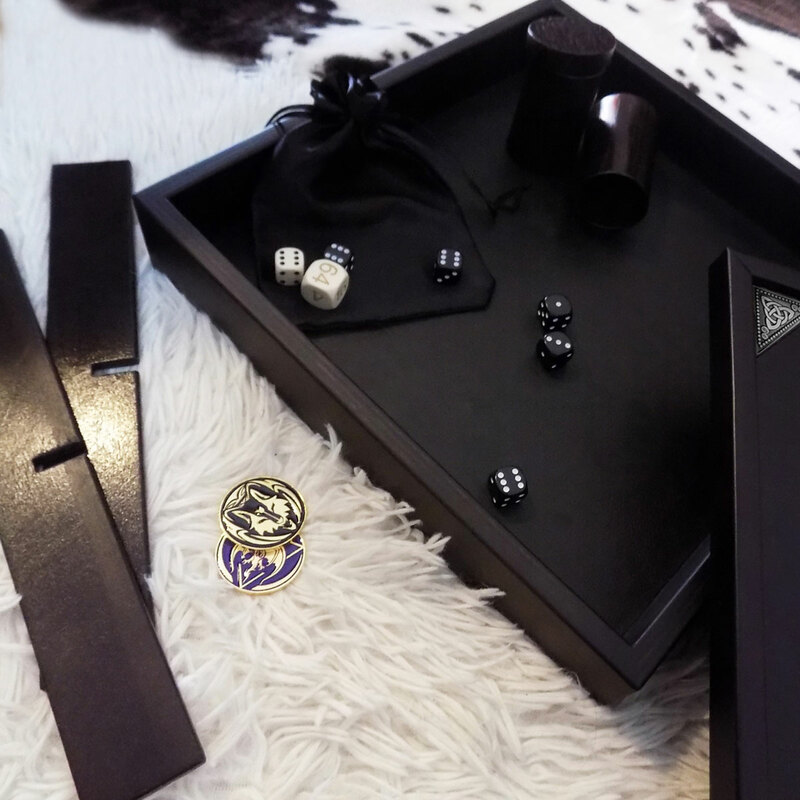 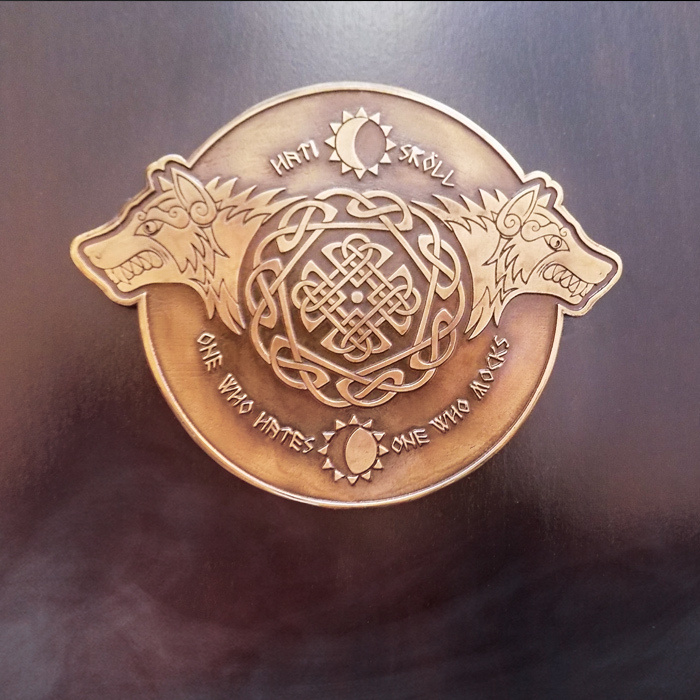 Each premium Dice Box | Rolling Tray is individually handcrafted skilled labor and finished off by hand. 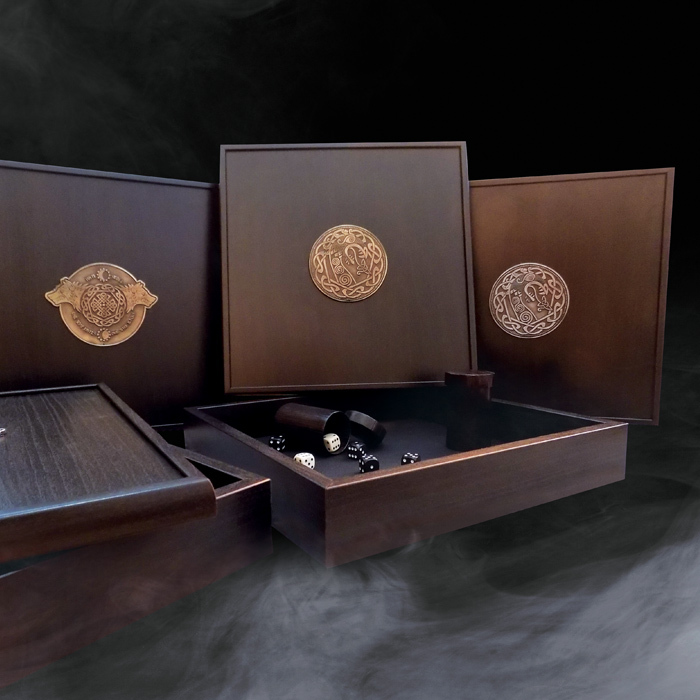 A result of great inspiration and high-level workmanship using premium materials sourced from all around the world. 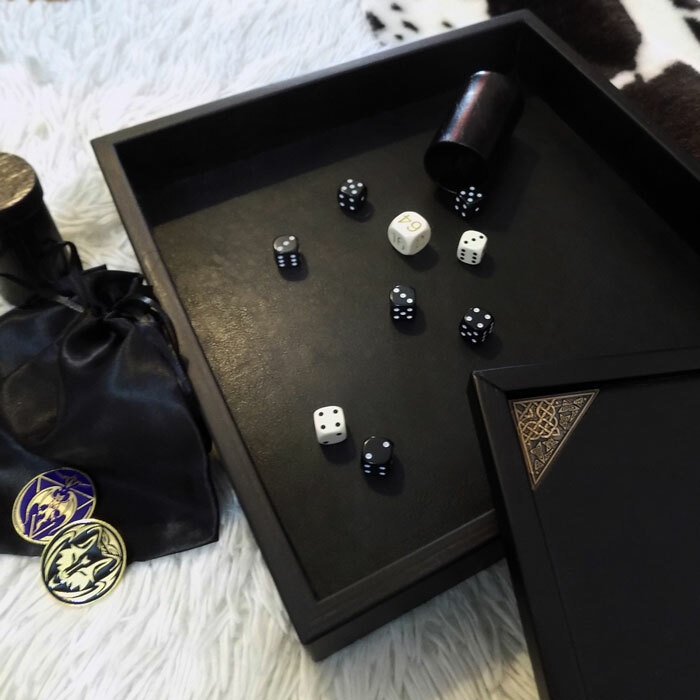 The rolling surface is lined with fine quality leather that not only holds up plastic and metal dice but also provides maximum cushion reducing dice wear and noise during a match. 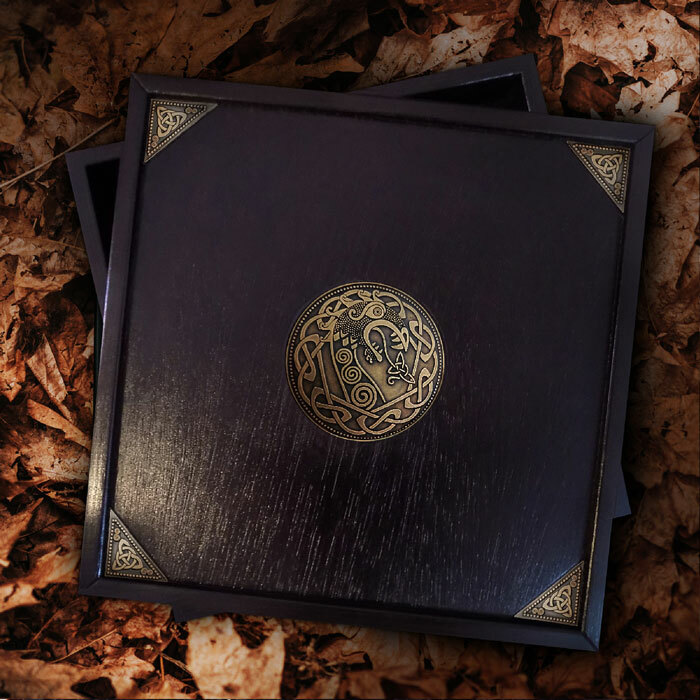 This exceptional leather is also lined at the back of the lid for a similar aesthetic result, while ensures that it is perfect in all aspects! 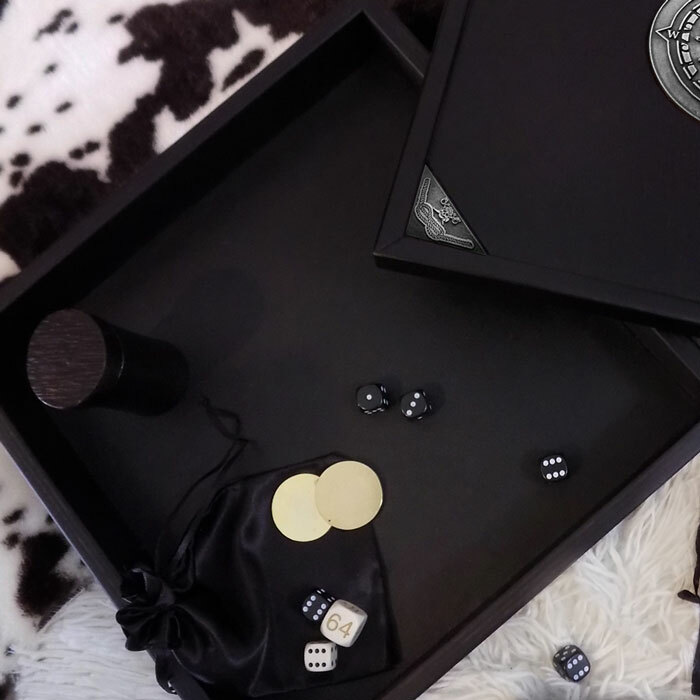 The inner surface is lined with fine quality leather for protection and noise reduction when rolling dices. 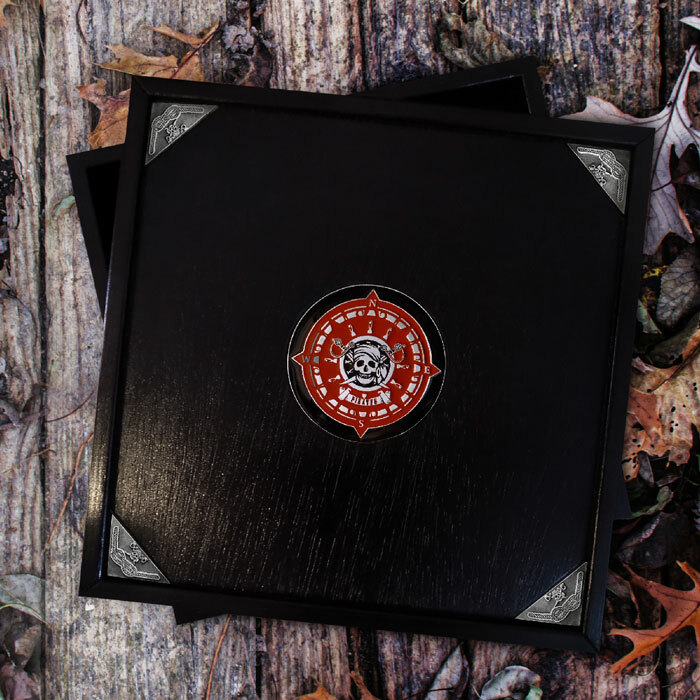 Leather is available in black, red and brown to suit your taste. 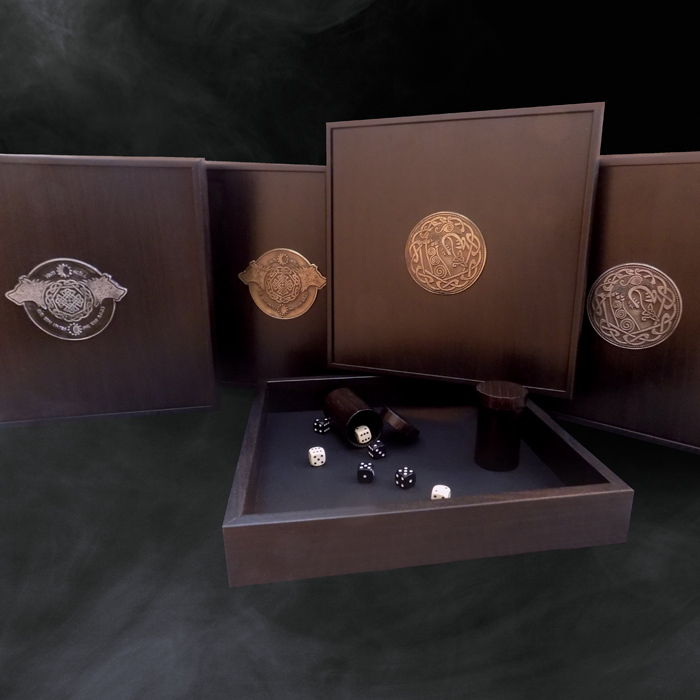 Each wooden box has one of four unique concept decoration. 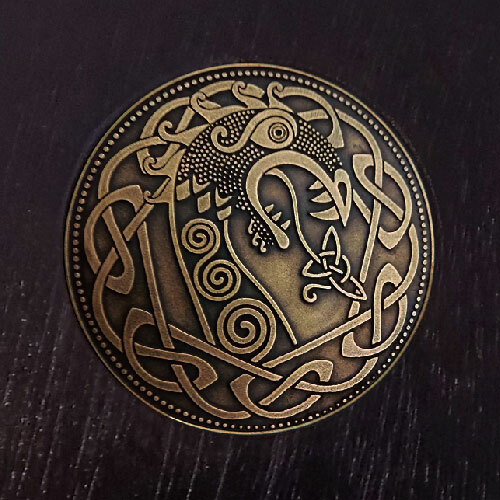 These top quality metallic designs, made from Zamac- an alloy made up of aluminium and zinc, which is then combined with copper to create an absolutely precious and vintage style - finished off by hand, gives a unified conception result, as well as a unique impression in your RPG story! 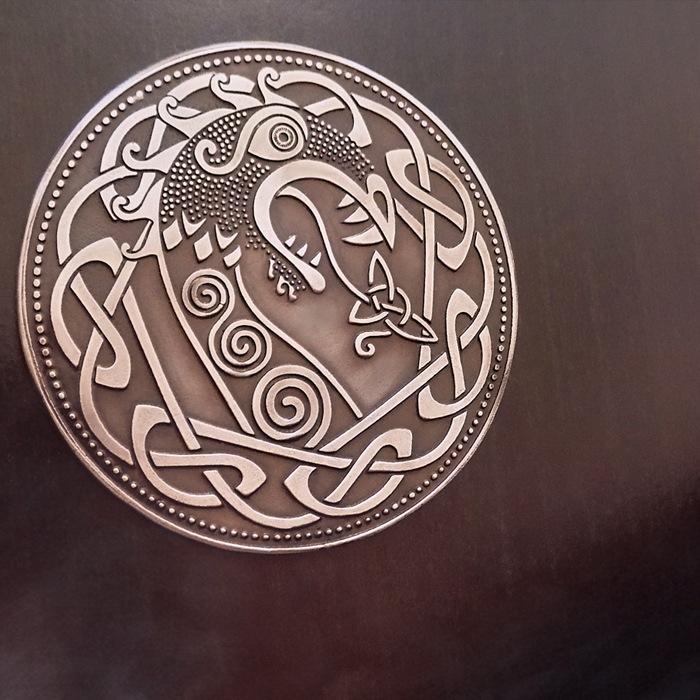 The metallic details in all concept decorations are available in Silver and Gold. 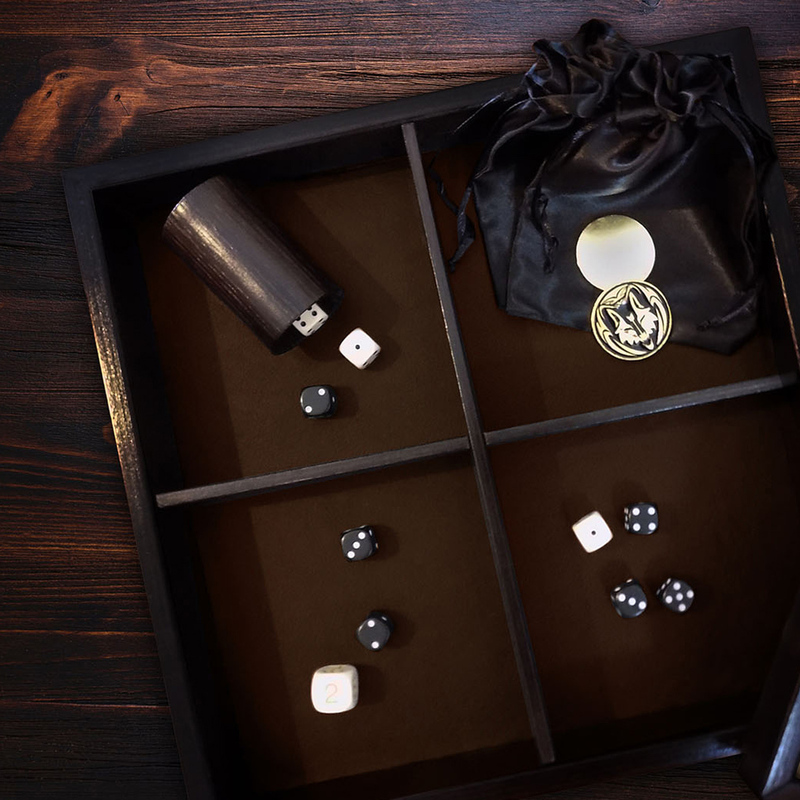 Each Dice Box | Rolling Tray set weighs 3.30lbs (1.5kg). 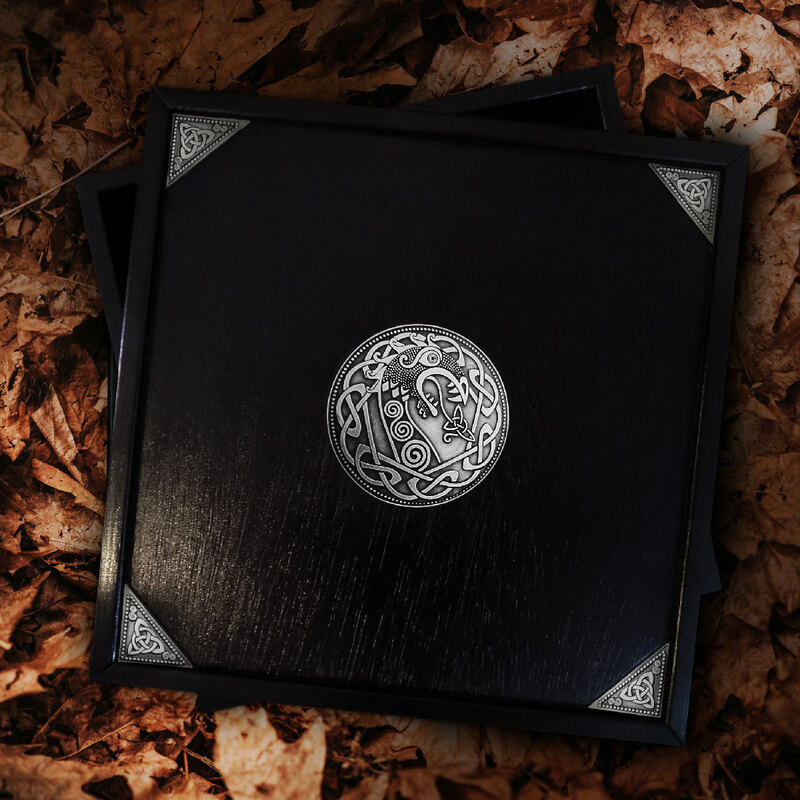 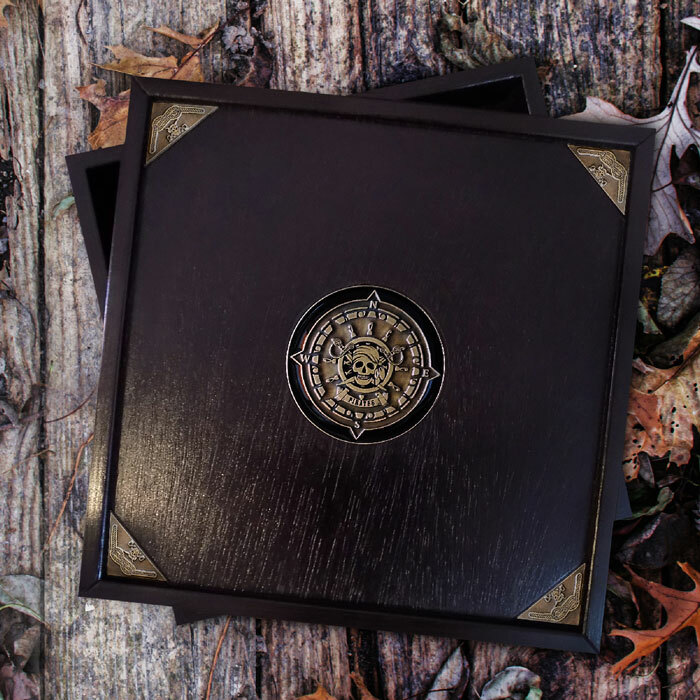 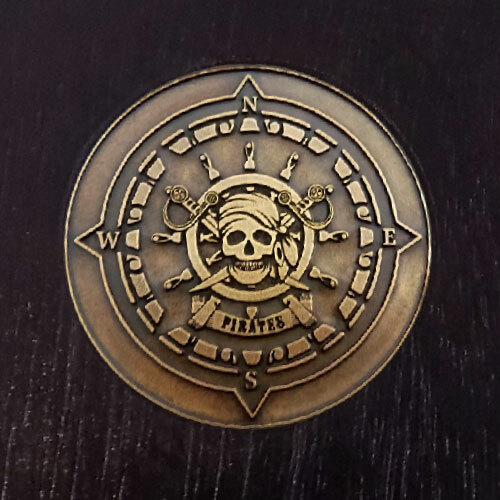 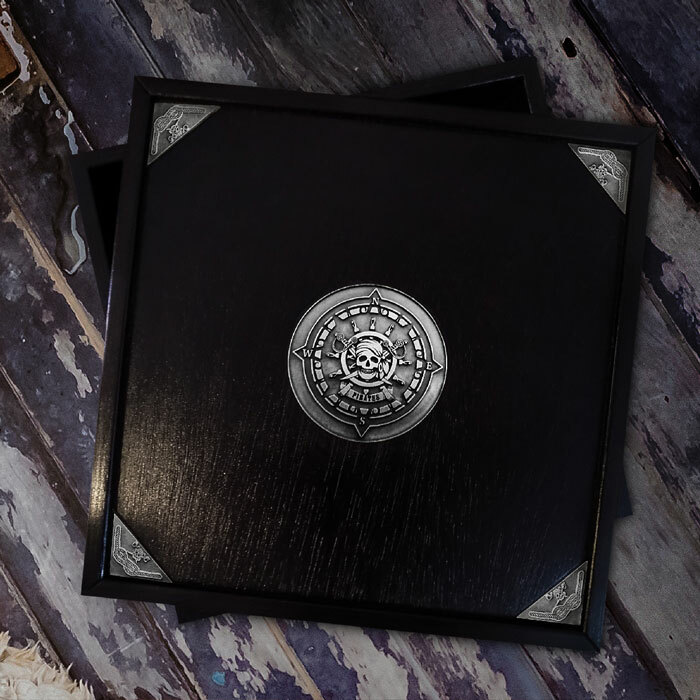 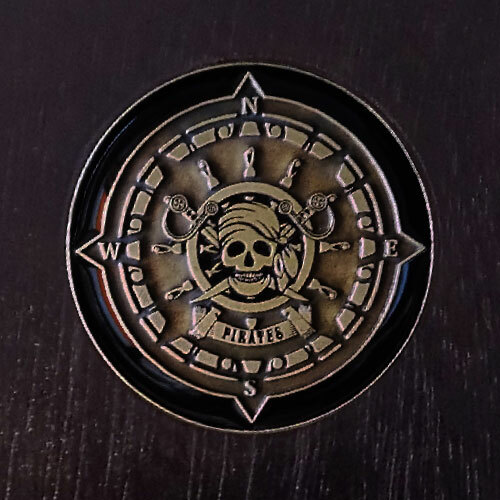 “The Enamelled Pirate Compass” is the Deluxe Edition of “The Pirate Compass ”. 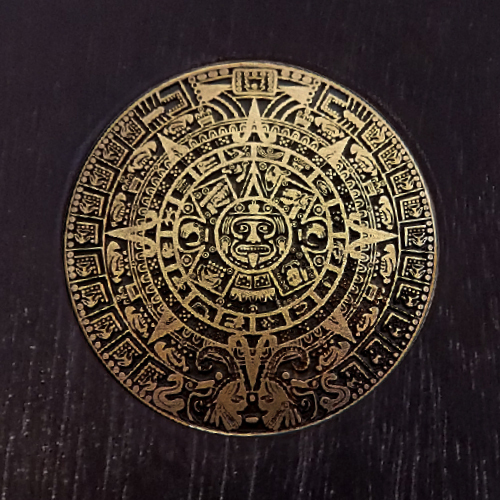 Each one piece is handcrafted, following the method of color enameling gives an extra premium touch, creating a unique luxury item. 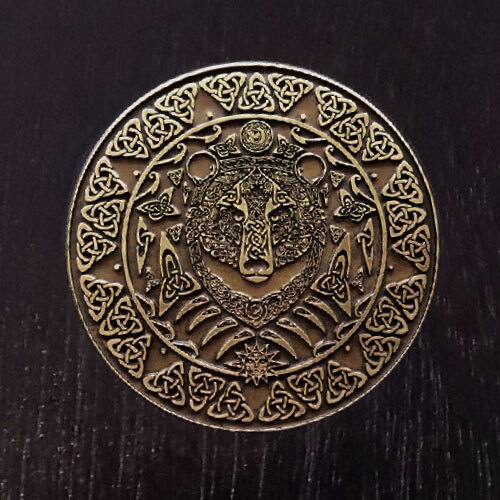 Available as shown in Silver and Gold.